About 12 years ago, photographer Larry Prosor (formerly of Truckee, CA, now living in New Zealand) and I were fortunate to publish the first book ever produced by Stephens Press of Las Vegas, a coffee-table photo/essay book entitled "Endless Nevada." The book was an updating and complete revamp of an earlier book Larry and I had put together that was published by a Truckee-based publishing company called Fineline Production (that book was called "Desert Highs and Mountain Lows"). While the book was elegant, we were financially stiffed by the company before managing to regain the publication rights to our work. I'd read about how the Las Vegas Review-Journal was starting a new book publishing division and contacted Dale Wetenkamp, who was the company's publisher at the time. Dale was excited about the idea and soon offered us a contract to publish the book, which came out in 2002. The book was beautiful and we were extremely pleased with how the whole project came out. Recently, I was asked to contribute a pair of essays for a new Nevada book called "Nevada: 150 Years in the Silver State," to be published by Stephens Press to commemorate Nevada's Sesquicentennial, which is on October 31, 2014. It will also be the last book published by Stephens Press, which announced it is closing operations in 2013. I guess I feel kind of honored to have been associated with both the first and last books published by Stephens Press—but it's a bittersweet feeling because I'm very sorry to see them go. The company published some quality books and it will be missed. 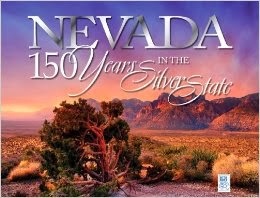 Recently, I was asked to contribute a foreword to a new book, Historical Nevada, that will be published by Nevada Magazine for the Silver State's 150th birthday. The book is a collection of historic photos of Nevada, all of which have appeared in Nevada Magazine's Nevada Historical Calendars over the years. Below is my first draft of the foreword, which we decided not to use because it was perhaps a little too irreverent for a history book and focused far too much on me and my time at Nevada Magazine, and not enough on the state's history. A considerably revised and different version, however, does appear in the book. The first story I ever wrote for Nevada Magazine involved breasts. Chicken breasts, that is. Dave Moore, the longtime Nevada Magazine editor, had asked me to write a short piece about a place in Baker called the Outlaw Bar and Restaurant (now known as the Happy Burro). The owner at the time, Reita Berger, was colorful, quotable and mischievous. One of the things the Outlaw was known for was a tasty chicken sandwich, so Reita’s hand-drawn menu included the striking image of a hen sporting huge, human-size breasts. Needless to say, lots of her menus were stolen as souvenirs. 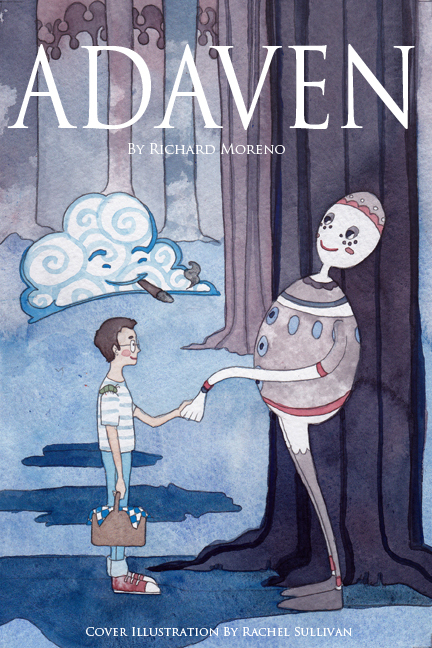 I can recall that when my story appeared I felt so privileged to have something appear in Nevada Magazine. I had just been hired as the public information officer for the Nevada Commission on Tourism after working for about four years at the Reno Gazette-Journal. I loved my job but I missed writing. I had long admired the magazine with its stories about Nevada’s state parks, ghost towns, historic figures, recreational activities and entertainers and its legendary writers and photographers (at least to me) like David Toll, Anthony Amaral, Richard Menzies, Guy Louis Rocha, Robert Laxalt, C.J. Hadley and Linda Dufurrena. So, I jumped at the chance to write even a brief restaurant review for the magazine. It was the beginning of what became a long love affair. I guess Dave liked my story about chicken breasts because over the next few years he gave me other assignments. I wrote the magazine’s first story about Highway 50 being branded the “Loneliest Road in America” and a long essay about the state’s best-preserved ghost towns. And when each story came out, I ran over to the magazine’s offices to pick up a copy. There was something gratifying about seeing my name attached to a story printed on paper that was nicer than newsprint. For a time, I wrote a regular column for the magazine called “Did You Know?” that focused in Nevada trivia, such as the fact that iconic tumbleweed isn’t native to Nevada or the American West (it’s actually a thistle from Russia). As a result of writing that column a publisher contacted me to see if I would be interested in writing a trivia book about Nevada. 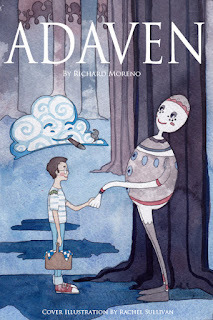 I agreed to give it a try and the resulting work was the first book from which I made any money (my two earlier books were produced as fundraisers for the Children’s Museum of Northern Nevada in Carson City). Several years later, I was named as the magazine’s publisher—a dream come true. It was a privilege to work not only with Dave Moore but also the rest of a very talented group of people, who felt, as I did, that Nevada Magazine was something special. During the 14 years I served as publisher, I was able to further explore Nevada’s rich history and heritage. I wrote about subjects ranging from the state’s most endangered historic landmarks to the tenth anniversary of the creation of Great Basin National Park to the strangest stuff found in the state’s museum collections. In those years, we moved the magazine’s offices into the historic Paul Laxalt Building, celebrated the magazine’s 60th anniversary (look closely at the cover of the anniversary issue—I’m the passenger in the 1933 Chevy driving up the old Clear Creek Grade), redesigned the magazine (1999) and fought like hell to keep the magazine financially sound (every year). Among my fondest memories of my time at Nevada Magazine are those that involve putting together each issue of the magazine. It was having the art director prepare multiple versions of the cover of each issue and having the staff vote for a favorite. It was reading over the early drafts of the stories scheduled to appear in the magazine and seeing the magic that sometimes happens in the collaboration between an editor and a writer. That’s not to say it was all Kumbaya moments. For instance, one time the staff had a big internal debate about whether to publish a large full-color photo of artist Hugo Heyrman’s recently completed Lady Desert: The Venus of Nevada. The work is a giant cinderblock statue of a woman—it sort of resembles a big pink Lego creature—located near the ghost town of Rhyolite. The photo was quite striking and an accurate depiction of the artwork. The problem was that the statue is anatomically correct, albeit in a cubist fashion. Several staffers were concerned the photo might offend some readers. Others thought it was modern art so no one could really tell what it was supposed to be anyway. In the end, we decided that it was hard to write about the statue without including a photo. So we published it and braced ourselves for the angry calls and letters. We didn’t receive a single complaint. All good things must come to an end, however, and about seven years ago, I decided to try my hand at being a college professor and left Nevada Magazine. My family and I relocated to Illinois, where I began to teach journalism and advise student publications at Western Illinois University. But Nevada had a tight hold on me. I continued to write about the Silver State, including three Nevada-related books in recent years, and returned regularly to visit friends and family. Every time I came back to the state I realized how much I’d missed it. I missed the mountains—what’s called a mountain in the Midwest just isn’t—along with the impossibly beautiful blue and purple and red early evening skies. I missed the open spaces. I missed walking through a crumbling town that was once home to hundreds but now can only claim ghosts as residents. I missed the smell of sagebrush. I missed Nevada. Fortunately, there is Nevada Magazine—I still read every issue—and the annual Nevada Historical Calendar to give me a little Nevada boost when I need it. One of my predecessors as publisher, C.J. Hadley, came up with the latter, which is an oversized, sepia-tinted collection of historic Nevada photos attached to a monthly calendar that included enough space for each day of the week that you could scribble in personal notes. It was popular with readers as well as fans of Nevada history, and the best thing I did as publisher was to not screw it up. And it’s a large part of the reason this book is in your hands. Over the nearly four decades since the first Nevada Historical Calendar was published, hundreds of exceptional historical photos have appeared in the calendars. Of course, the thing about being in a calendar is that once the year is over the calendar is tossed out and no one sees those wonderful photos again. The editors of Nevada Magazine have selected 150 of the best images from all those old calendars to include in this publication. It’s an exceptional collection of images worthy of being preserved. Sadly, there’s no photo of Reita Berger’s menu.